We value all of our propane customers, whether you are a residential, agricultural, industrial or commercial account. 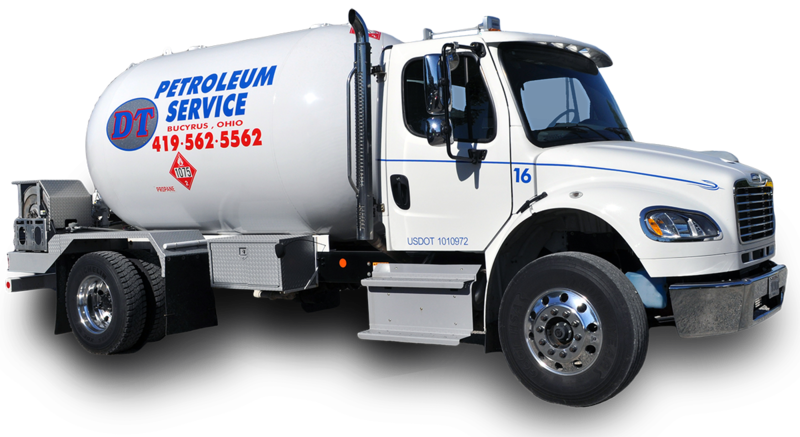 At DT Petroleum Inc., we supply the tank, regulators and blocks with no annual lease fee. This would be based on 1 1/2 tanks of propane per year. Residential customers are able to take advantage of prepay pricing, regular rating, and budget plans. Commercial and industrial accounts can benefit from temporary tanks needed for limited or full time. Requirements for production and operations are needed. We are also able to fill 20, 30, 40, or 100lbs bottles as well as tow motor bottles on-site at our 1105 W. Mansfield St. location. We offer budget plans based on a monthly payment budget which begins June 1st and ends May 31st. Your budget payment is tanker-based on your annual usage and current pricing. Prepay programs are offered in the summer. This is an excellent way to protect yourself from rising costs that can occur during the winter season. Please know that someone is always available to talk with you personally about any of the programs offered at DT Petroleum Service. Being locally owned and operated provides us with the flexibility to serve all of our customers with the service, professionalism, and respect that you deserve. 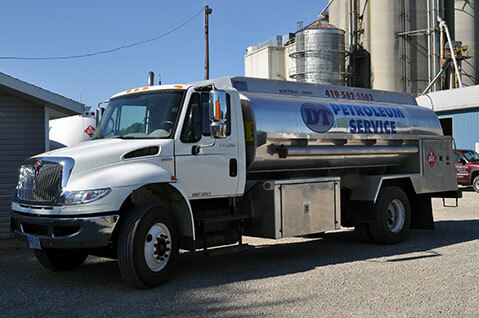 DT Petroleum Service Inc. is proud that we have a clean, neat state-of-the-art facility. Our facility is clean, neat and we take pride in our physical location. We often have heating oil delivery on a "will call" basis as well as regular routing. We offer budget plan discounts at competitive prices. Budget plans are based on yearly usage and yearly pricing. At DT Petroleum Service Inc. we are able to provide you with a variety of Shell lubricants. Sizing is available from quart size to 55 gallon drums. Please contact our office for our product line.